Let’s get to the basics on prevention first. Those poor people in West Africa suffer from many illnesses due to malnutrition, contaminated drinking water, pollution from unregulated petroleum extractions, and outrageous chronic stress from constant war within. None of this is an issue in the United States – at least not nearly to the same degree as in places like West Africa. All four normally healthy Westerners who contracted Ebola were treated easily and comfortably with even mainstream medical techniques that included nutrition. Huh? They had strong enough immune systems intact, their inner terrains were not seriously acidic, and they were not encumbered with scurvy, unlike the natives they were sent to assist. According to Robert F. Cathcart III, MD, an orthomolecular physician who administers mega-dose IV vitamin C, the CDC and WHO field workers on location refuse to check blood levels of vitamin C among the diseased Africans. This would spoil their heroic intervention games that are sponsored by Big Pharma for control and high profits. If they did check vitamin C levels, they would find most if not all are suffering from acute induced scurvy that would force them to abandon anti-viral chemical agents and intensely bolster those vitamin C levels. 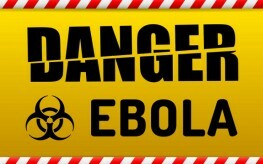 Dr. Cathcart states, “… all the hemorrhagic fevers are acute induced scurvy.” Yes, Ebola is a hemorrhagic fever. Since then, others began using mega-dose vitamin C therapies for various diseases, physical and mental, with great success. Those doctors formed tight knit communities known as Orthomolecular Medicine and Psychiatry. As for Ebola, they all recommend using high dose vitamin C repeatedly, every hour or two to bowel tolerance limits if administering IV C is impractical for whatever reasons. Then there is liposomal vitamin C, where molecules are encapsulated in lipids to allow easier penetration into lipid (fat) cell walls. Dr. Thomas Levy, a seasoned veteran of administering mega-dose IV C, believes that highly encapsulated liposomal vitamin C may exceed IV C therapy’s efficacy clinically by a factor of 10! He based this opinion on actual clinical cases. For any serious viral infection, 5 grams of liposomol C daily for 10 days is recommended. For more details, please visit two earlier Natural Society articles on this subject. How can the average person get an iv vitamin c when most doctors wont agree to it? If this gets bad people need to know how to do this at home and where to get intravenous vitamin c.
Make Homemade encapsulated vitamin c, or better yet sodium ascorbate. Wonderful advice. 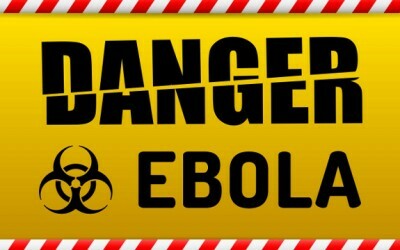 Best to maintain a strong and healthy immune system in the first place so that your odds of not contracting the illness is in your favor should you become exposed to Ebola. Where can I find a recipe to make Vitamin C at home? the liposomal type you mention. Here is a guy who slaughters the English language but I have found to be pretty good. Are you referring to Dr. Robert F. Cathcart’s paper from 1981? The doctor that has been dead since 2007? He has an opinion on the current Ebola outbreak? And as for curing polio with vitamin C, we have a vaccine for that. Tough luck Joe, you’re off by a mile… back in 2005, Dr Cathcart was working on an epidemic in Lassa (Nigeria)… that particular hemorrhagic fever was later renamed for the location to distinguish it from other varieties of ebola… even the DOD has been doing research on Ebola back those years, and was induced to try colloidal silver on the versions of Ebola they had, and embarrassingly colloidal silver was the only successful treatment — the rest were pharmaceuticals and CS was included as what they thought would be a definite loser — the presentation of their results exists but the DOD bowed to the drug lords and stonewalled any further interest…. So you’d better rethink your ideas on Ebola, not to mention stupid immune-suppressing vaccines, especially the ones with the monkey retro-viral genetics that are transmissible to your progeny (reversing evolution, maybe)… too bad.. The polio vaccine is for prevention not curing polio. Once you have it. Vit C will cure polio and ebola . google, Vitamin C cured polio during the epidemic of 1948 – 49.